Funeral services will be held tonight (Wednesday) for Iris Jennifer Conley Walker, 64, of Jenkins, who was killed February 2 when her car was struck by a felled tree on US 23 at Wise, Va.
A Pound, Va., man has been charged with involuntary manslaughter and trespassing for allegedly cutting the tree from property he did not own. Virginia State Police did not return repeated telephone messages regarding the incident. 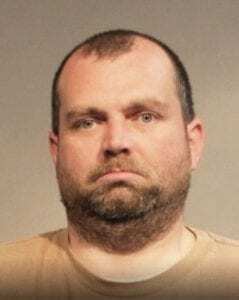 However, The Coalfield Progress in Norton reported that Tony Curtis Osborne, 35, of 8034 Mockingbird Drive in Pound, was arrested Saturday in the case. 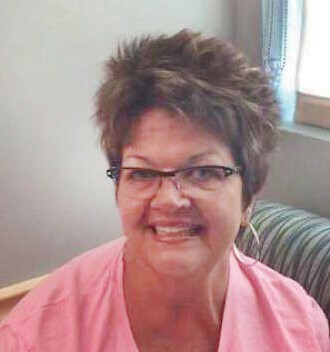 Walker was driving toward Kentucky at mile marker 48 near the Indian Creek Trading Center when the tree fell on her car, causing it to crash into the ditch. According Hospital at Big Stone Gap, Va.
Walker was the widow of former Jenkins City Councilman Kyle Edward Walker, a daughter of the late Ivory Dee Conley, and a sister of the late Carlos Richard Conley. TONY CURTIS OSBORNE was charged with illegally cutting a tree that fell on U.S. 23 in Virginia and killed a Letcher County woman who was driving home. She is survived by her mother, Dalna E. Conley of Jenkins; two daughters, Shelly Walker-Polly (Brian) of Jenkins and Kyla Danielle Walker-Phillips of Morristown, Tenn.; a son, Gabriel Kyle Polly of Dunham; two sisters, Deanna Conley Tackett ( Jackie) of Fayetteville, N.C., and Sherry Conley-Sexton of Hazard; a brother, Rex Allen “Bubby” Conley of Jenkins; four grandchildren, Mikaela Dee Phillips, Caleb Sean Phillips, Madison Paige Phillips and Chancellor Brian Polly; and a great-granddaughter, Halle Quinn Cook. Visitation is set for 6 to 9 p.m. tonight, Wednesday, February 6, at People’s Baptist Church at Dunham. Services will be at 7 p.m. at the church with pastors Van Webb and Danny Hurst officiating. Inurnment will be announced at a later date at Powell Valley Memorial Gardens, Big Stone Gap, Va.
Carty Funeral Home of Jenkins has charge of arrangements.